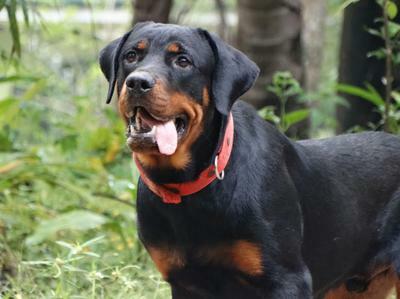 Elsappan is now a 7 month old Rottweiler, and is frighteningly smart. He still learns VERY quickly. Elsappan has become fast friends with my 6 month old another Rottweiler and the two of them compete for my husband's and my attention constantly. He is truly my husbands best friend and makes me smile on a daily basis.